SHE WAS A WISP OF A GIRL, dressed in clothes that were faded and frayed, a few sizes too small. She had no toys, and was often hungry. She slept in the back of a red pickup truck under a camper shell with her father, a family adrift. It was the summer of 1986 when 5-year-old Lisa showed up outside Katherine Decker’s mobile home at a trailer park in Scotts Valley, Calif. While her father worked as a handyman, Lisa played for hours with Decker’s young grandson, yearning for everything he had. She nestled up to the kindly woman every chance she got. Before long, she was calling her grandma. Her father, Gordon Jenson, also leaned hard on Decker. He cried as he told her about his wife, who had died when Lisa was still a baby, and his struggle to raise their daughter on his own. As the summer wore on, Decker worried about what would happen to Lisa after she and her husband, a state engineer assigned to the area for the summer, moved back home. She felt sorry for the little girl, being raised like that. Wistfully, she told Jenson how she would love a granddaughter like Lisa. Her daughter and son-in-law longed to have children, but were having trouble conceiving. She gently asked about his plans for the fall, when Lisa should be starting kindergarten. A couple of days later, Jenson showed up at Decker’s door. He said he had done a lot of thinking, and that it might be best for everyone if Lisa went to live with Decker’s daughter. She could take her home for a three-week stay. If it went well, they could arrange an official adoption. Decker was thrilled. She rushed out and bought Lisa some new clothes and a shiny pair of shoes before making the six-hour drive south to her daughter’s home in Chino Hills. Lisa was so excited she wore her new shoes to bed. Decker’s daughter and her husband quickly grew to love Lisa, and were eager for her to join their family. But when the young couple returned to the trailer park several weeks later to move forward with the adoption, Jenson had vanished. Even more troubling, Lisa was talking about terrible things her father had done to her. The couple alerted police. After speaking with Lisa, investigators suspected that she had been molested and placed her in state custody. Katherine Decker, heartbroken, would never see her again. Police asked Lisa whether she had any brothers or sisters. She used to, she told them, but they died from eating “grass mushrooms” while they were camping. Alarmed, deputies scoured the trailer park for clues about Jenson. They found only one — a single fingerprint lifted from a sound system he had installed. It matched a man named Curtis Mayo Kimball, who had been arrested for driving drunk a year earlier, in a city nearly 400 miles away, with his young daughter in the car. It was the first hint that Lisa’s father was not who he said he was. He had other secrets, too, it would turn out — secrets that Lisa herself would uncover, years later, when she set out to answer the question that burned in her: Who am I? The search would span the country, and generations, before winding its way to New Hampshire, where other dark mysteries also awaited answers. Police mug shots over three decades of the man known first to authorities as Robert T. Evans. Lisa never saw Kimball again. But the police caught up to him two years later in San Luis Obispo, Calif. He was driving a car stolen in Idaho, and using another alias. Quickly connected to the girl he’d left behind, he pleaded guilty to child abandonment. Prosecutors dropped molestation charges as part of a plea deal, sparing Lisa the trauma of testifying at a trial. He served only 19 months before he was released in 1990. He immediately fled town, violating his parole. For the next dozen years, he lived largely unnoticed in Richmond, Calif., under the name Larry Vanner, authorities believe. Homeless when he arrived, he worked odd jobs as an electrician and handyman. After he refinished the back room of a local market, he persuaded the owners to let him live there for a few months. He wound up staying for years, a solitary man of about six feet, with piercing blue eyes and a heavy drinking habit. Eventually, the man who called himself Larry Vanner moved on. In August 2001, he married a woman named Eunsoon Jun in an unofficial backyard ceremony shortly after he moved into her Richmond, Calif. home. The next year she vanished, without a trace and without explanation. A friend reported her missing. And Roxane Gruenheid, a homicide detective for the Contra Costa Sheriff’s Department, was assigned to the case. The 11-year veteran of the force was known as a tenacious cold-case investigator, and she had just solved the 1978 slaying of a female jogger. In Vanner, she faced a blank wall. When Gruenheid questioned him at the police station, he was calm and cooperative. Nothing is wrong, he assured police. His wife was living in Oregon while receiving mental health counseling, he said, rattling off the phone number for her doctor. Eager to prove he had nothing to hide, he volunteered his fingerprints. The results came back almost instantaneously, and his mood turned dark. The prints were a match to Curtis Mayo Kimball, the man who had abandoned Lisa at the trailer park. Gruenheid arrested him for violating his 1990 parole, then went with fellow officers to search Jun’s house. They found a horrific scene. In a dirt-floored room in the basement was a huge pile of cat litter. Under the pile was Jun’s partially dismembered body; a small hatchet and reciprocating saw lay nearby. She had died several months earlier from a blow to the head. It was a murder so chilling, so elaborate in its cruelty, that Gruenheid felt sure it couldn’t be Kimball’s first. A photo of Eunsoon Jun, whose body was found in her California home. Proving it became her mission. She ordered all the files from Lisa’s case from storage and pored over them for hours. She was riveted by ink-stamped cards with Lisa’s tiny palm and feet prints, taken after she was found abandoned. They remained tucked inside the old file, long-forgotten traces of a forsaken child. She was appalled by the descriptions of sexual abuse Lisa had shared with police back then, and at Kimball’s own notes, penned years ago for Katherine Decker and her daughter, in which he proclaimed himself Lisa’s father and acknowledged that he was voluntarily giving her away. The more the detective read, the more questions she had. Kimball had told conflicting stories to the Deckers and others at the trailer park about what happened to Lisa’s mother, according to police reports. She had died during childbirth, he would sometimes say. She died in a car crash. She was caught in the crossfire during a robbery. It was cancer. There was no birth certificate for Lisa in the files, no death certificate for her mother. The string of aliases used by Kimball as he drifted through California, Texas, Idaho, and parts unknown left little clue about his true identity. Gruenheid found a report indicating that police had taken a sample of Lisa’s blood and planned to get Kimball to take a paternity test. She frantically searched the files for the results, before realizing the test had never been done. Kimball was seated in a courtroom, only a few feet from Roxane Gruenheid. Loud enough for him to hear, she told a colleague about the investigation and of her determination to keep digging until she uncovered all of his crimes. The next day, Kimball abruptly pleaded guilty to Jun’s murder and was later sentenced to 15 years to life. Gruenheid was true to her word: Even with Kimball safely behind bars, she stayed on the case. She ordered a DNA test. In 2003, the results came back, confirming her suspicions. Whatever his real name, Kimball was not Lisa’s father. A digitally enhanced Robert Evans booking photo from 1985, removing his facial hair. Gruenheid immediately alerted sheriff’s departments in Santa Cruz County, where Lisa had been abandoned, and in San Bernardino County, where she now lived. Investigators reopened her case, now classified as an abduction. Confronted, Kimball gave up nothing. He didn’t even remember Lisa, he told investigators. When he died in prison in 2010, his true name and age unknown, he took his secrets to the grave. Around 2004, the National Center for Missing and Exploited Children joined the investigation. The agency scoured missing persons reports and chased a number of leads. But the search went nowhere. Lisa’s abductor could have taken her from anywhere. What happened before the summer of 1986, before Lisa met Katherine Decker and the man she knew as her father fled town, seemed lost forever. “She was basically a living Jane Doe,” he said. After the police took her away from the trailer park, Lisa was placed in foster care, then adopted a short time later. She grew up east of Los Angeles in a loving family, and she eventually married and had three children of her own. She declined to be interviewed by the Globe but authorized others to share her story. Lisa never stopped wondering who she was or where she came from. Who were her biological parents? Were they still alive? Two years ago, she embarked in earnest on a quest for her identity, joining millions of others who have turned to DNA databases to trace their roots. Law enforcement officials and genealogists alike would join the search, determined to help Lisa find her place in the world. Lisa bought a DNA kit from ancestry.com for $99, spit into a vial, and sent her sample to the company for testing. It analyzes what is known as autosomal DNA, genetic material that is inherited from both parents, then searches its vast database for matches. People share 50 percent of their autosomal DNA with each parent, 25 percent with a grandparent, and less with more distant relatives. But figuring out how two strangers are related, even those who share a significant amount of DNA, can be a daunting task. While Lisa waited for her results, Peter Headley, the San Bernardino deputy, e-mailed a question to the operators of another website, DNAAdoption.com, which provides guidance on DNA searches. Could the same techniques adoptees used to search for their biological parents help a woman who knew nothing of where she came from? Barbara Rae-Venter, a retired patent attorney and genealogist who volunteers for the website as a “search angel,” said she was confident it could be done. But it wouldn’t be easy. She enlisted a small team of volunteers from the Monterey County Genealogy Society in California to help her unravel the mystery. They called it the Lisa Project. Eventually, Lisa’s family tree would grow to some 19,000 people, just on her maternal side. Meanwhile, the ancestry.com results had come in, and they revealed that Lisa shared varying amounts of DNA with several thousand people, including one very close match. The man, an 81-year-old who lived on the East Coast and was of Canadian ancestry, was contacted and agreed to have his DNA profile shared on a site that searches for matches from several genomic testing companies. Rae-Venter analyzed the results and concluded that the man shared a common female ancestor with Lisa. But to identify that woman, Rae-Venter would need to locate more of Lisa’s relatives. Seeking more connections, Lisa submitted her DNA to two more popular genealogy websites. One, called 23andMe, found three close matches, but only one of them agreed to be contacted. His name was Adam Keim, 42, of San Francisco. Rae-Venter wrote Keim with the news. He was believed to be the cousin of a woman who had been abducted as a child and wanted to find out where she came from. Keim, however, had nothing to share about his other relatives. He had been adopted as a baby, and was, like her, searching for his biological parents. If he agreed to help, Rae-Venter said, she would help him find his family, too. Keim, who had all but given up on finding his birth parents, was skeptical. Once he verified that the request was legitimate, Keim agreed to share copies of his closest DNA matches and his adoption records, which included his mother’s original surname and the date he was born in San Diego. Within a day, Barbara Rae-Venter and another volunteer found Keim’s birth name by searching old California birth records, and located a brother he didn’t know existed. A short time later, she found his mother, living just a few hours away. “I just started crying,” Keim said. There was good news for Lisa, too. The DNA tests determined that Lisa’s first match, the man in his 80s, was related to both Adam Keim and Lisa. Their common ancestor was believed to be the elderly man’s grandmother, who had had a staggering 18 children. Undaunted, the volunteers set to the task of tracking the lineage of each one. Barbara Rae-Venter and her team spent thousands of hours building family trees. They scoured census, birth, marriage, and death records and culled information from social media. One volunteer, Junel Davidsen, a certified genealogist from Salinas, Calif., combed through Canadian records dating back to the 1600s, tracing ancestors of Lisa’s cousins. Her job was to identify their living relatives who could provide DNA that might advance the search. Then Peter Headley, the San Bernardino deputy, called them, hundreds of people across the country, to see if they would take a DNA test. Most refused, even when Headley told them they would be helping a relative who had been a kidnapping victim. Many of them hung up or accused Headley of running a scam. “It was disappointing, but at the same time we understood that people had privacy concerns,” Davidsen said. Undeterred, Headley refined his pitch. He urged people to confirm his credentials by calling the San Bernardino County Sheriff’s office. His success rate climbed, and the ranks of Lisa’s known relatives grew. Eventually, Lisa’s family tree would grow to some 19,000 people, just on her maternal side. The list of people who descended from just one ancestor, the one with 18 children, filled a line of letter-size sheets that, taped together, extended 11 feet. Some of Lisa’s cousins, moved by her story, persuaded other relatives to provide DNA and donated money to pay for testing kits. Soon, it was determined that Lisa was descended from a long line of French-Canadians who had settled in New Hampshire. The search was closing in. Junel Davidsen found an obituary for one relative, Georgette Beaudin, who died in 2008. She was survived by one daughter, Denise Beaudin, it read. But when they searched for basic information about her, the trail went cold. The team was mystified. They also found relatives who shared DNA with Lisa on both their maternal and paternal side, which added a layer of complexity to the puzzle. Then came the breakthrough they had been waiting for. Generations earlier, two brothers had married two sisters, accounting for the shared DNA. It was the missing link. A photo of Denise Beaudin, who disappeared from Manchester, N.H., in 1981. That woman was Denise Beaudin, who had vanished from her home in Manchester, N.H., in 1981. She had left with her 6-month-old daughter and boyfriend, a man named Bob Evans. Her family never heard from her again. In July 2016, Peter Headley called Lisa. Her search was finally over. For a few moments, the line was silent. “Would you like to know your name?” he asked. Dawn. That was the name her mother had given her. He sent her a copy of her birth certificate. Lisa called him a couple of weeks later, overwhelmed with new questions. Should she change her name? Her birthday? Headley notified Manchester police that a girl who had been abandoned in California in 1986 had been identified as Beaudin’s daughter. Denise’s elderly father, Armand Beaudin, who had previously rebuffed requests for his DNA, relented when he realized the stakes — proving his connection to the granddaughter he hadn’t seen in 35 years. His results left no doubt. He told authorities that he last saw his only daughter on Thanksgiving Day, 1981. A week later, when relatives stopped by her house, she and her baby were gone, along with her boyfriend. They never reported her missing. “Apparently they had some financial difficulties, so that was the assumption, that they were kind of running from their financial woes,” said Manchester Police Captain Ryan Grant. Detectives dug out mug shots of Evans from 1980, when he was arrested in Manchester several times for diverting electricity to his residence and passing bad checks. They compared them with mug shots of the man who abandoned Lisa and later died in prison. They were one and the same, Grant said. A final discovery was still to come. Peter Headley told Ashley Rodriguez, a forensic case manager at the National Center for Missing and Exploited Children, that Lisa’s mother had been identified as a woman who had disappeared from Manchester, N.H., in 1981. As she looked at a map of the state on her computer, a terrible connection clicked in her mind. Manchester is only about 15 miles from Allenstown, home to one of New Hampshire’s most disturbing mysteries. 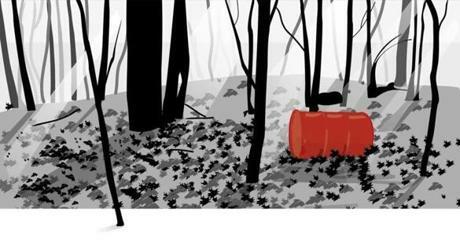 In 1985, hunters stumbled upon a steel barrel containing the decomposed bodies of a young woman and a girl, believed to be about 10 or 11 years old. Fifteen years later, an investigator newly assigned to the case discovered a second barrel in the same woods, this one containing the skeletal remains of two younger girls, believed to be about 3 and 4. None of them was ever identified, although DNA tests showed three of the four victims were related. Police believed all four were killed at the same time, between the late 1970s and early 1980s. Schweitzer and Rodriguez alerted California and New Hampshire authorities, telling them Beaudin’s disappearance might be linked to the Allenstown murders. Beaudin’s boyfriend had been living in the area when the woman and three little girls were slain. Two of the Allenstown victims had been partially dismembered — a detail that recalled the murder of Eunsoon Jun. Everything pointed to Evans, a stunning breakthrough in a case that for so long had seemed hopeless. 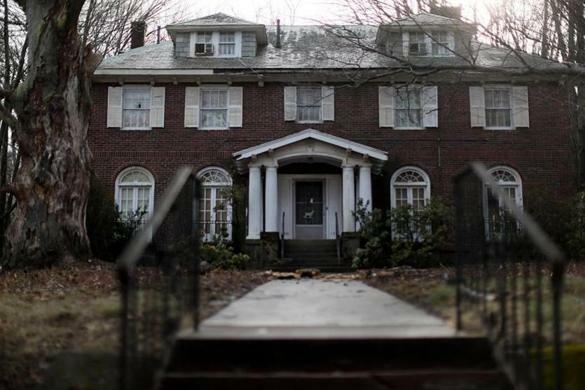 Investigators discovered that the man who called himself Bob Evans had worked as an electrician at Waumbec Mills in Manchester from 1977 to 1981, and that his supervisor owned the property where the bodies were found. Evans also did electrical work at a store on the property and had used the land to dispose of material from the mill. 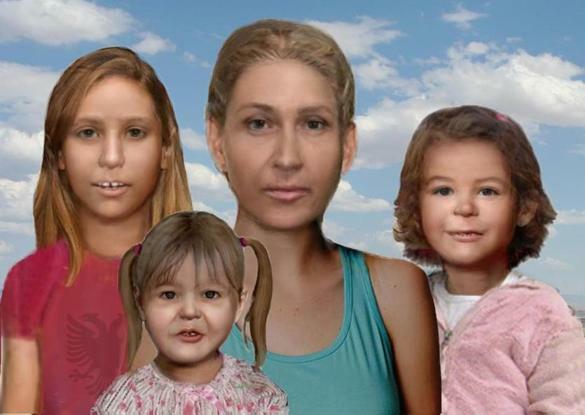 And just as DNA led Lisa to her birth mother, it revealed her onetime abductor as the father of one of the Allenstown victims, the girl around 4 who was not related to the others. DNA results also ruled out Denise Beaudin as the older victim. “At that point, our attention on Evans went from general to laser-focused,” said Michael Kokoski, a sergeant for the New Hampshire State Police. 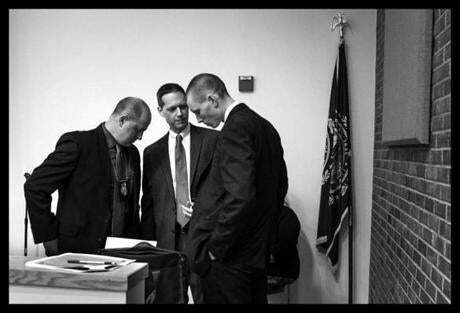 Detective Captain Ryan Grant (from left) of the Manchester, N.H., Police Department; Senior Assistant Attorney General Jeffery Strelzin; and State Police Sergeant Michael Kokoski, in charge of the Cold Case Unit, talked before a January news conference in Concord, N.H., to discuss recent efforts to locate Denise Beaudin. 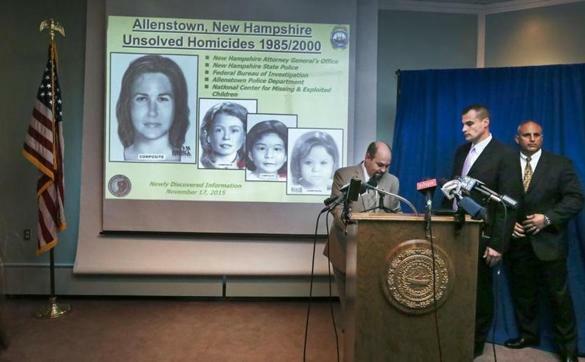 In January, New Hampshire authorities announced the DNA results linking Evans to the Allenstown murders. He likely killed them all, Senior Assistant Attorney General Jeffery Strelzin said, and had presumably killed Beaudin as well, though her body has never been found. He had rambled across the country, cultivating relationships with single mothers under any number of names. Authorities said he had a history of abusing women and children, and they suspect that he killed others. The true number of his victims will likely never be known. “He certainly fits the profile of a serial killer,” Strelzin said. The mother of Evans’s daughter, found slain in Allenstown, has never been found. When Evans was arrested in 1980 on charges of stealing electricity and writing a bad check, he claimed to be married to a woman named Elizabeth. She has never been located. The next year, Denise Beaudin moved in with him. Bob Evans was something of a chameleon. Sometimes he was clean-shaven, sometimes badly disheveled with a scruffy beard. He spoke with a Southern accent, an East Coast accent, or no accent at all. Several women recalled his bright, blue eyes and described him as charming. He was smart, fluent in French, and, according to one witness interviewed by police, also spoke Spanish, Chinese, and Arabic. Investigators suspect he may have served in the military, but they have been unable to identify him. They don’t know where he was born and raised, or where he was before he surfaced in New Hampshire in the late 1970s, when he appeared to be in his late 20s or early 30s. Investigators have combed through missing children reports, but they fear the Allenstown victims, like Beaudin, were never reported lost. Investigators say the Beaudins believed Denise had simply moved away — until her long-lost daughter Lisa came looking for them. When authorities announced the stunning break in the Allenstown murders, they released a statement from Lisa, now 35. She thanked everyone who had worked on her case and asked for privacy. “I have three beautiful children and a loving husband, and would like our presently happy and secure life to remain intact and protected through the release of this story,” she said. In December, Lisa met her grandfather and some of her cousins in New Hampshire. Investigators said they had narrowed the identity of Lisa’s father to a small group of people, but they have not made that information public. Lisa is a strong woman and protective mother, Headley said. She is relieved to finally have some answers about her past, but remains hopeful that investigators will find her mother’s remains and identify the other Allenstown victims. Police in New Hampshire and California, with assistance from the FBI, are sifting through Bob Evans’s past, searching for his true identity and people who crossed paths with him. Recently, a woman told police that she baby-sat for Lisa and a 6-month-old girl when Evans was living in Anaheim in 1984 and 1985. He claimed to be a single father raising the children alone. Investigators fear he killed the baby. The next year, when he showed up at the trailer park, it was just him and Lisa. Lisa had always thought that Evans spared her life because he believed he was her father, Headley said. Since learning that he killed his own daughter, one of the victims buried in New Hampshire, she is convinced that an angel was watching over her. A few months ago, Katherine Decker got a call from Peter Headley, who told her what had happened to Lisa and the man who abandoned her. The sweet girl Decker had hoped her daughter would adopt had been kidnapped, he told her. The man claiming to be her father was a serial killer, who had murdered his own daughter and was surely planning to kill Lisa, too. For whatever reason, he chose instead to let Lisa go. “You saved her life,” Headley told Decker. Now 85, Decker said she has trouble remembering some things. But she has never forgotten Lisa, the child who flashed into her life one summer and nearly became her granddaughter.